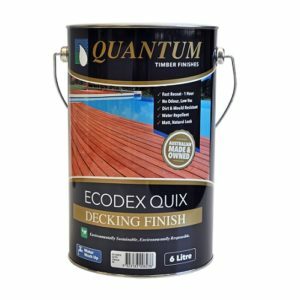 Protect your investment with Quantum’s complete range of residential and commercial timber deck finishes. 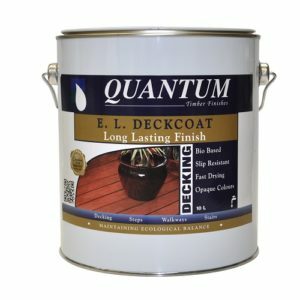 Quantum’s unique range of timber deck finishes will defend your deck against the elements from mild to extreme, leaving your deck looking newer for longer with minimal maintenance. Our deck coating products come in natural, transparent stain colours or solid opaque colours to suit any residential or commercial style. Click here for our Decking Product Selector Guide for more information on the different types of decking finishes and preparation products. Preservation Only. 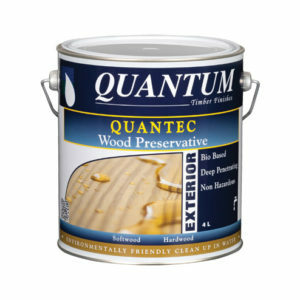 QUANTEC Timber Preservative – A deeply penetrating natural matt (clear) oiled finish that protects and preserves the timber. Reapply every 6-9 months to prevent greying off. Solid Opaque Colour. E.L. DECKCOAT – A non-slip, opaque (solid colour), matt finish. Will fill minor surface defects such as cracking and splitting. 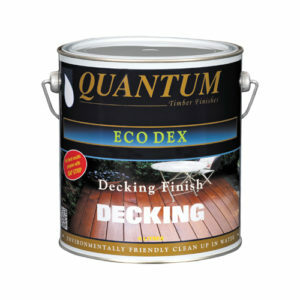 Ideal for older weathered and difficult to maintain decking. ECODEX QUIX – A penetrating water based oil, matt finish. One hour recoat. Resists stains, dirt and mould. Available in natural or transparent stain colours. ECODEX – An economical decking oil suitable for most timbers. Recoat every 12 months. Available in natural or transparent stain colours. 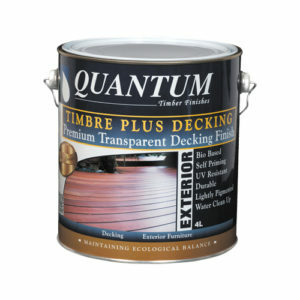 TIMBRE PLUS DECKING – Premium, water repellent, low sheen, natural oil finish. Outstanding adhesion and toughness, slip and UV resistance. Can be tinted to transparent stain colours. Our deck coating products are also suitable for application on outdoor timber furniture, exterior wooden bridges, walkways, dock plus more (Refer to product label for more information). Buy online or visit your nearest Quantum stockist today.